Pain. We all experience it, but yet we all experience it in different ways. Pain is proportional to the perceived threat. 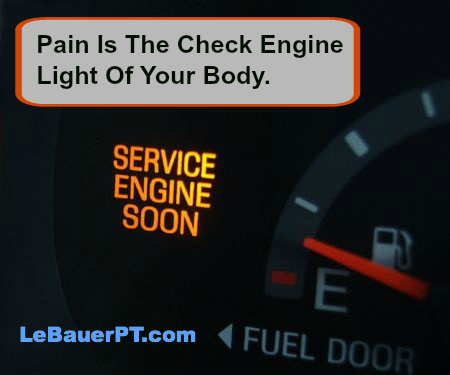 Pain is the check engine light of your body. The longer we experience pain, the more sensitized we are to it and the earlier our body feels pain to a stimulus or threat. In general, the best thing to do is to use and move your body. If you have pain, it is ok to exercise, even if you hurt during the exercise. Take notice if your pain increases with your activity or if you have any sharp or shooting pain. Many times, your pain will decrease or go away with movement and exercise. If you have increased pain with exercise, back off or stop, especially if it is greater than a 6 out of 10. (0=no pain & 10 = take me to the emergency room now!) If you have sharp or shooting pain with a repetitive movement, pause and check in. If you can correct your form and it goes a way, keep going. If you check in and correct your form and it’s still there, decrease your resistance or distance, if the the sharp/shooting pain persists, stop that activity for the day, try something else and come back to it in a few days. The video below is a wonderful explanation of how pain works in our bodies and I want to share it with you. Many of you will find it useful on your healing journey and other will find it highly informative and entertaining. It is a white board lecture that helps explain, with drawings on a white board, how our bodies and brains interpret pain signals. 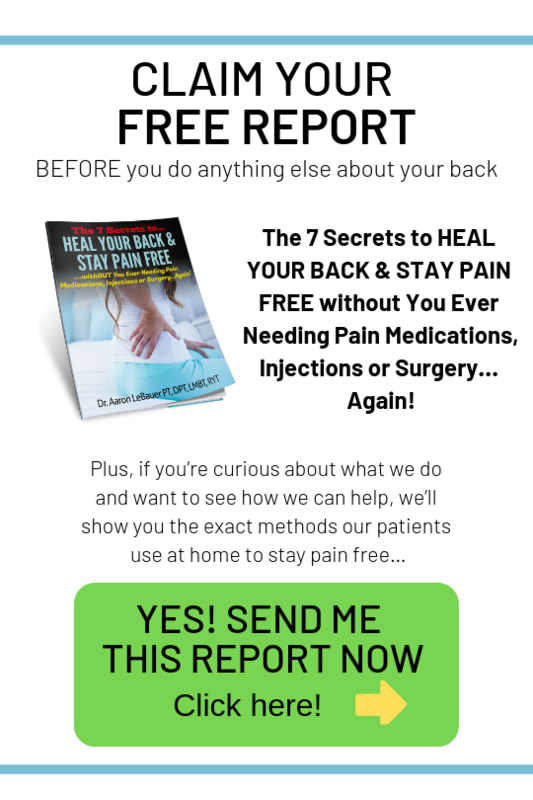 It talks about the process of how our bodies receive pain signals and how we can overcome the patterns that we have a hard time escaping. After you watch this, please leave your feedback and thoughts on what this video means to you in the comments section below.